The Kroger Marketplace located just five minutes away from ArrowBrooke at the northeast corner of US 380 and Gee Road will finally open this month. 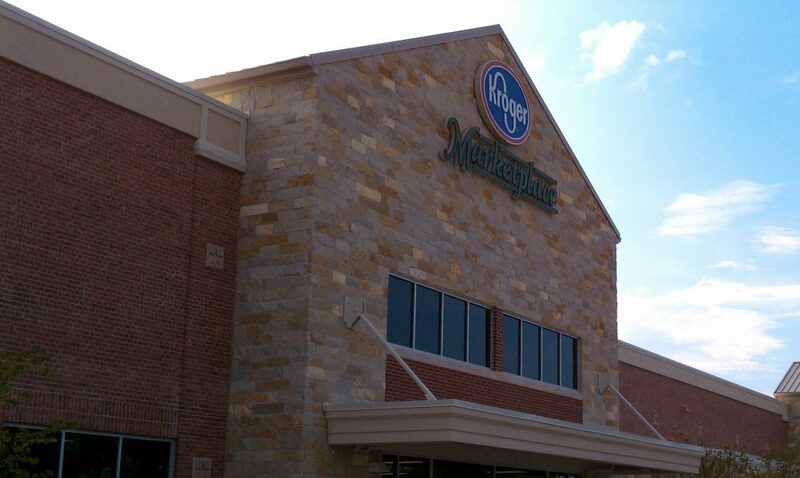 A Kroger spokesman said the new store is scheduled to open Friday, July 14. Kroger Marketplace will be open daily 6 a.m.-1 a.m. Other neighborhood retail and restaurants coming soon include The Home Depot, Chick-fil-A, Panera, Petco, Sonic, Taco Cabana and Chase Bank. The 123,000-square-foot Kroger is located at 4650 W University Drive. Future development plans for the northwest corner of US 380 and Gee Road include a RaceTrac gas station, BottleCap Alley Ice House Grill, Rosa’s Cafe, a 52,660-square-foot Main Event, a Trampoline Park and an LA Fitness. In addition, a Wal-Mart Supercenter and other retail and restaurants will be developed on the southeast corner of FM 423 and US 380. Kroger Marketplace is currently hiring for all positions including cashier, bagger, grocery clerk, produce clerk, meat clerk, deli clerk, bakery clerk, and pharmacy technicians. Fore more information, click here.